We are throwing a party! Come and join us for a night of drinks with friends, acquaintances, enemies, and royalty! 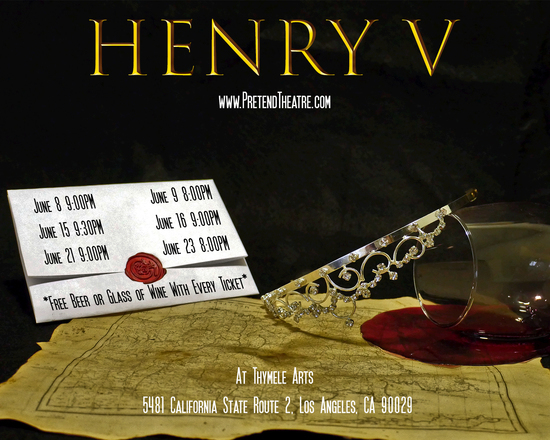 As well as a performance of Shakespeare’s Henry V. Drink with us be at the heart of Henry V’s conquest of France! EVERY TICKET INCLUDES A FREE BEER OR GLASS OF WINE!